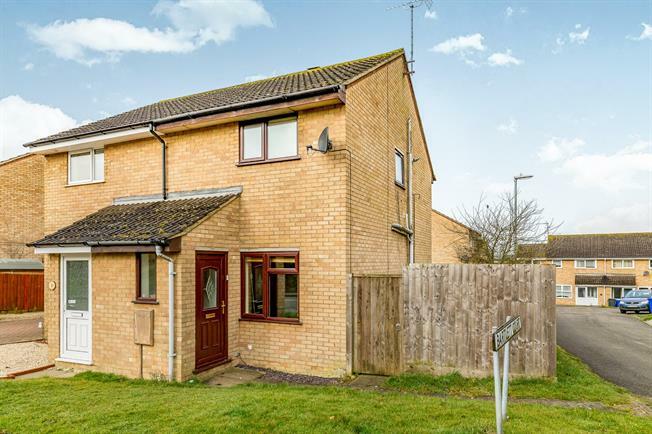 2 Bedroom Semi Detached House For Sale in Brackley for Offers Over £200,000. Taylors Estate Agents are pleased to present this two bedroom, semi detached, corner plot home with no chain. In brief the property consists of entrance porch, reception room and kitchen to the rear. Off the first floor landing you will finds doors to both bedrooms and the family bathroom. The property offers front and rear gardens and off road parking. Brackley is a thriving market town which hosts many annual events including the Soap Box Derby and Festival of Motorcycling to name a few. Commuters to Banbury, Oxford, Northampton or Milton Keynes are well served by with access to the A43, M40 and M1, whilst London travellers have the choice of rail services from Milton Keynes to Euston or the highly-regarded Chiltern service from Bicester North or Kings Sutton to Marylebone. UPVC front door with frosted window panels. Upvc double glazed window facing the front. Radiator. Electric fire place. Upvc double glazed window looking over the rear garden. An array of base and eye level units. Space for white goods. Intergrated electric oven and gas hob with extractor hood over. Upvc double glazed back door opening onto the garden. Doors to all rooms and loft access. Upvc double glazed window to the rear. Radiator. Storage cupboard. Panel bath with shower over. Wash hand basin. WC. Upvc obscured double glazed window to the side. Upvc double glazed window looking over the front. Radiator.